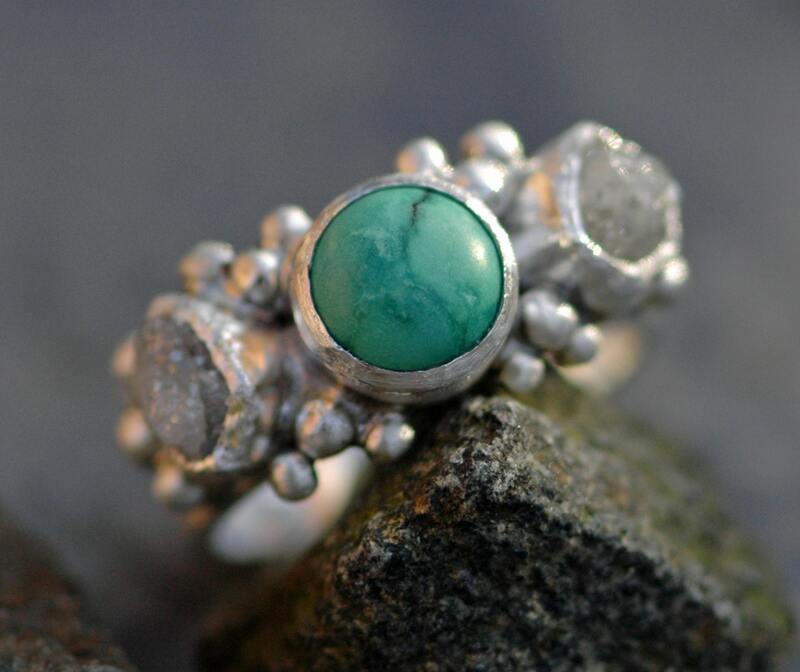 This rough diamond and turquoise sterling silver ring is made to order. 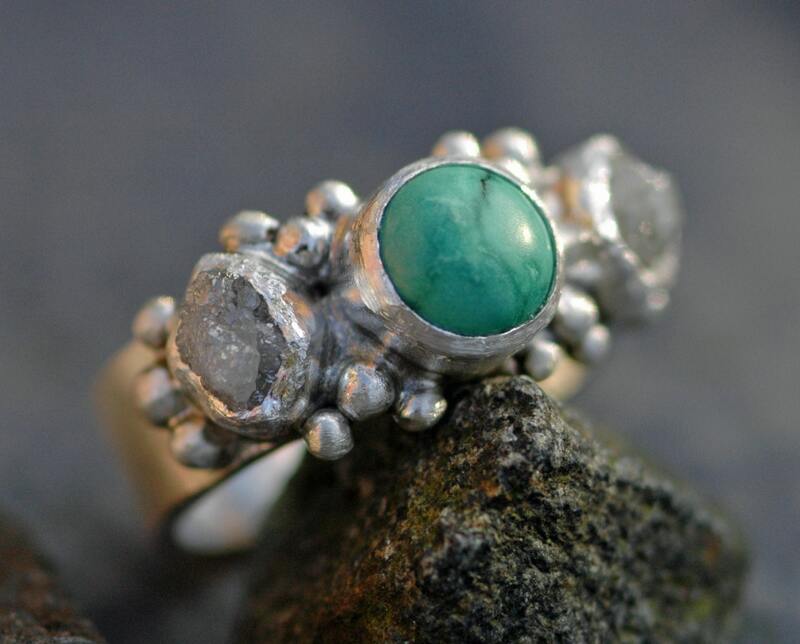 The rings in the photos are sold, and are shown to give you an idea of what these one-of-a-kind rings look like when I build them. 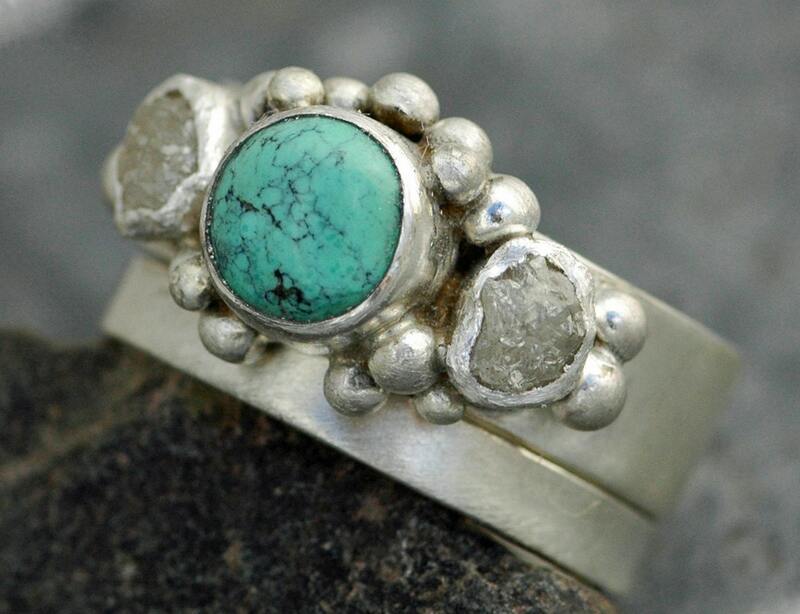 This listing is for a custom-made rough diamond and turquoise engagement band, which also makes a gorgeous ring for any occasion. 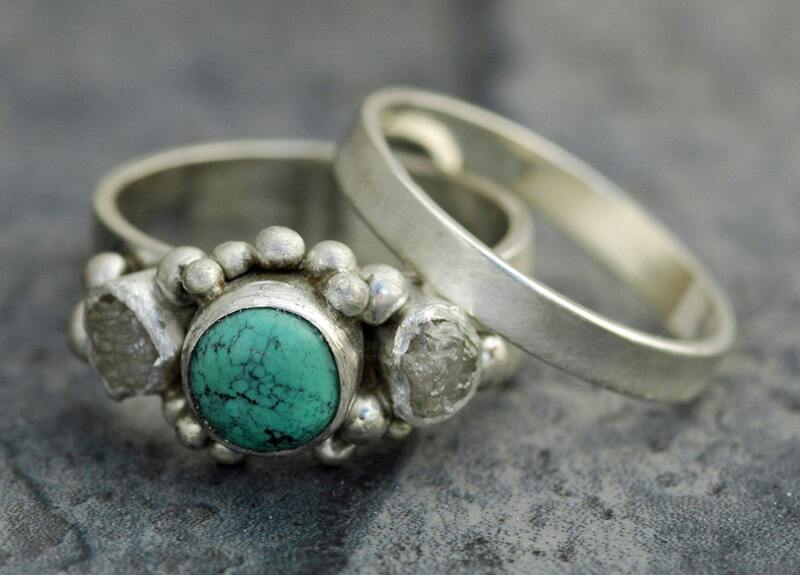 The matching wedding band is shown in some of the photos, but please note that this listing includes ONLY the turquoise and diamond ring- the wedding band is NOT included in this listing. Diamonds: The two diamonds are in their raw, natural crystalline form. These diamonds are conflict-free. They average 3.5-4mm across, and come in a variety of pale silver to dark, glistening gray. 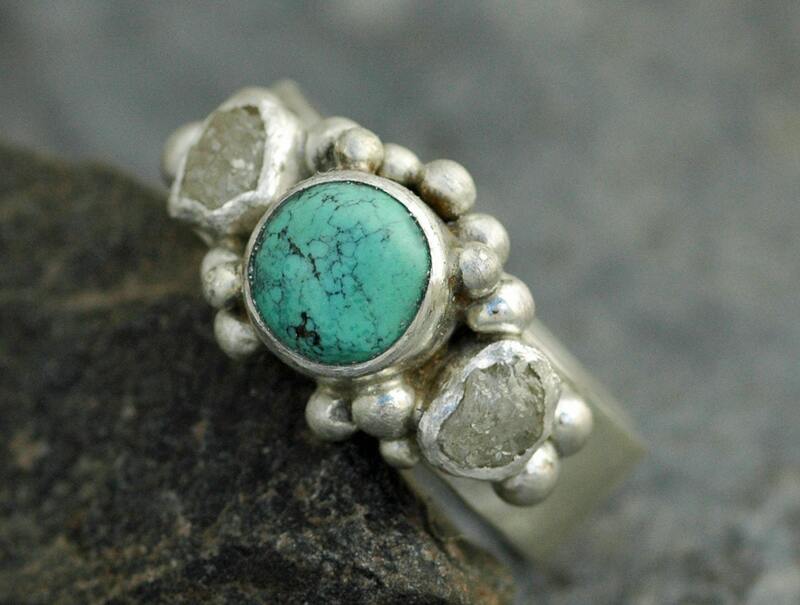 The turquoise is undyed, natural turquoise. I also have a parcel of slightly smaller, dark blue turquoise with slight pyrite inclusions. Please let me know if you prefer a deeper blue stone.